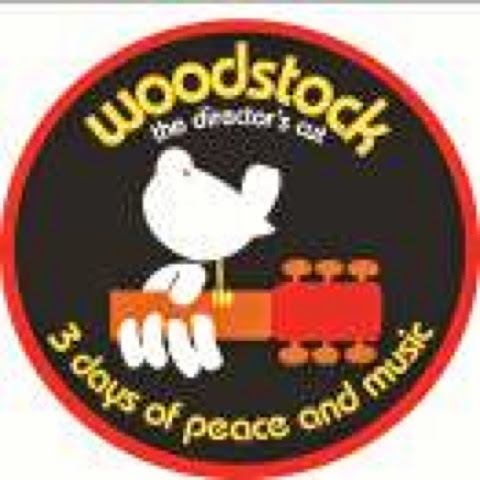 GenreOnline.net: Woodstock: 3 Days of Peace and Music 40th AnniversaryLimited EditionRevisited on Blu-ray July 29, 2014. Woodstock: 3 Days of Peace and Music 40th AnniversaryLimited EditionRevisited on Blu-ray July 29, 2014. Burbank, Calif. April 22, 2014 –Woodstock: 3 Days of Peace and Music– the four-hour Director’s Cut of the 1970 Oscar®-winning documentary about the landmark music event that featured some of the greatest rock ‘n’ roll performers in history -- will be released July 29 in a new Blu-ray 40th Anniversary Limited Edition Revisited. This latest release will contain the complete40th Anniversary Ultimate Collector’s Edition (UCE) plus brand new concertfootage from Jefferson Airplane, Joan Baez, Santana, The Who and more. There are new premiums – a reproduction of Woodstock Festival tickets and articles from Life Magazine and The New York Times– in addition to a re-issue of theWoodstock logo iron-on patch. The bonus material from the original UCEcontained two hours of performance footage from many of the above groups as well as a featurette gallery showcasing interviews with Martin Scorsese, Michael Lang, director Michael Wadleigh, Hugh Hefner, Eddie Kramer (the concert’s original chief on-site engineer and producer-engineer for Jimi Hendrix) and others who chronicle the making of the festival and the film. Included are such segments as 3 Days in a Truck, No Rain! No Rain! and Living Up To Idealism. 32 legendary musical acts appeared which, in addition to those mentioned above, included The Band, Canned Heat, Joe Cocker, Creedence Clearwater Revival, Janis Joplin, Richie Havens, John Sebastian and Sly & The Family Stone. Winner of the Academy Award® for Best Documentary Feature (and nominated for Best Editing and Best Sound), Woodstockwas produced by Bob Maurice and directed by Michael Wadleigh, who assembled an outstanding crew that included young filmmakers at the start of their careers Academy Award® winners: director Martin Scorsese (The Wolf of Wall Street) and editor Thelma Schoonmaker (The Wolf of Wall Street). Michael Lang, Artie Kornfeld, John Roberts and Joel Rosenman created the original Festival.